I wrote a little while ago about wanting to bring in more houseplants into my home and with spring on the way I have started to add some. Although I am only starting tiny so I don’t kill them all off! Wayfair challenged me to create something new from their plant pots and planter category. I needed to come up with something new using their plant pots. Making it unique to me. So I decided my office noticeboard needed some new plants added to it! I spotted these very cute little pots. 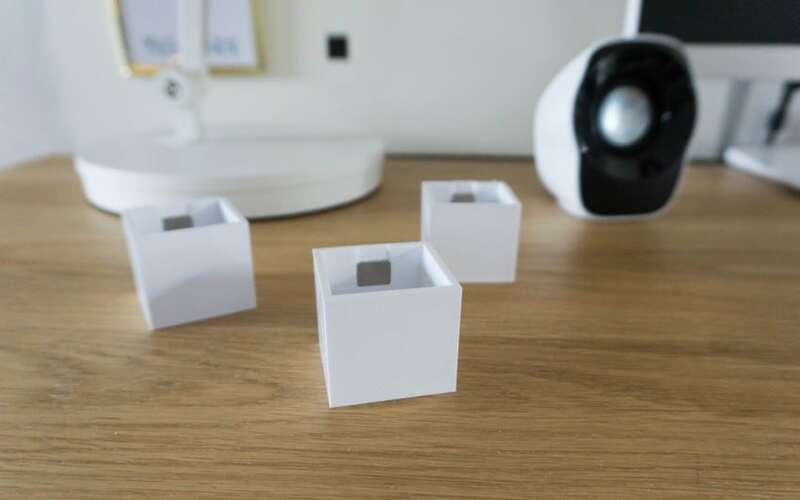 They maybe small but they come in a large range of colours to pick from so you can tie this in with your colour scheme easily. 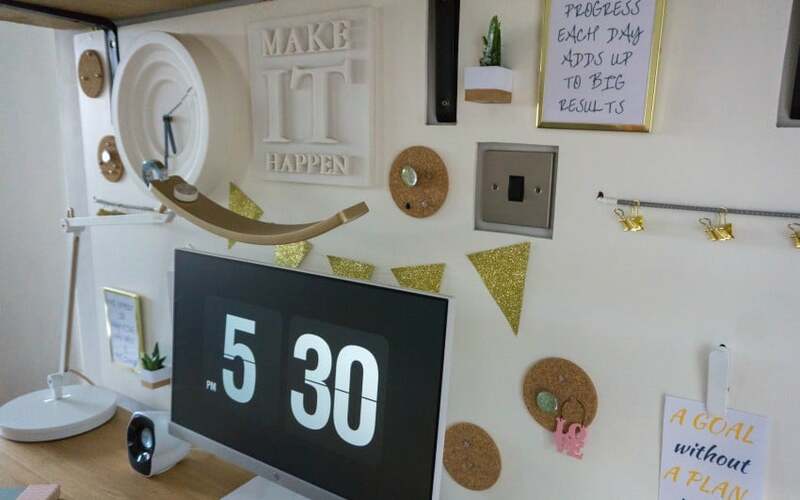 My office noticeboard is white and gold, so yes these would have worked just staying white…..but to be honest every opportunity to add a bit of gold to my office and I jump at it! 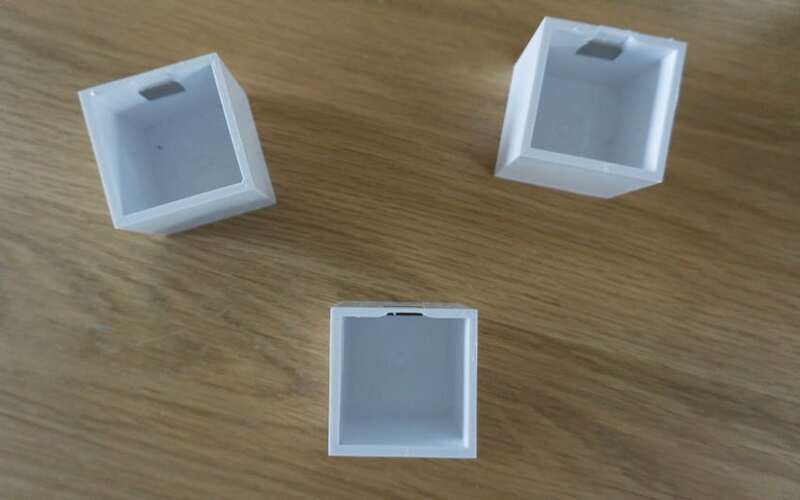 If you have noticed they have a small magnetic square on them. This is perfect for attaching to anything metal. Easy if you have a metal noticeboard, fridge or shelving. However my noticeboard is made from wood. So I purchased a small metal disc for each plant pot, it’s about a size of a 5p size. 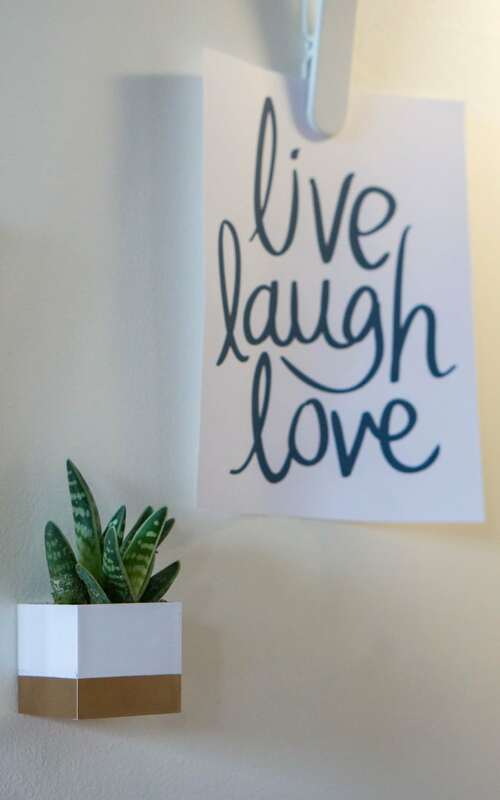 Then you need to superglue it to the noticeboard or surface you want the plant pot on. Leave this to dry before attaching the plant pot onto it. 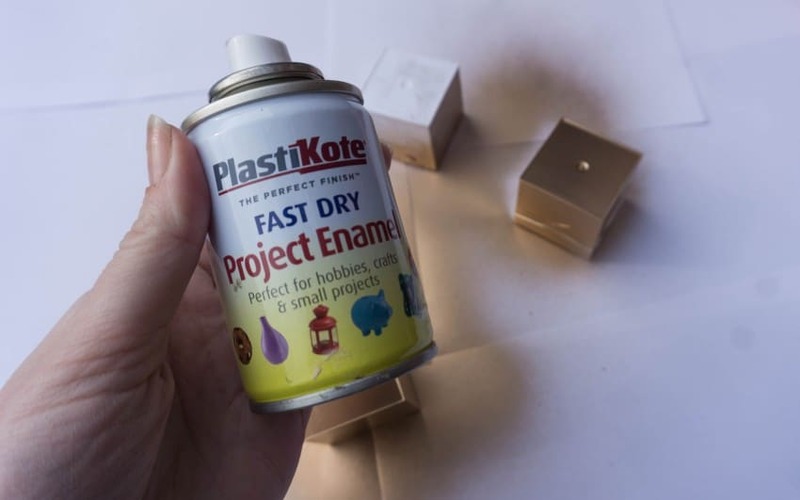 This PlastiKote gold leaf spray paint is perfect for little jobs like this. I sprayed my black mirror with this gold spray paint and it is still looking fab. So I knew it would work well for these little plant pots too. I wanted to create a gold bottom and slightly gold around the bottom edges. This meant that when they’re on my noticeboard I can see the gold bottoms! Wrap around a piece of tape around the top, covering over the top section of the pots and the insides. This leaves the bottom and a small section around each side exposed. Turn them upside down and spay all around. Once dried, carefully remove the tape and you will be left with your gold section and ready to fill with your chosen plant! I picked little cacti that I found in a pack of 3 from my local garden centre. They were just the right size. I would recommend taking your little pots to the garden centre with you to make sure you don’t get a plant too big. Cacti don’t need too much attention or water, so will fit perfectly in my house! Also as there isn’t any drainage holes in these plant pots you don’t want a plant that needs a lot of water. You only need to add a small amount when needed and not soaking the roots. They fit perfectly on my noticeboard and I am really pleased I added the little section of gold. I think it brings them to life. The magnet is really strong so I’m not worried they are going to fall off either! You don’t have to just stick with a plant pot staying the same as you purchased it! 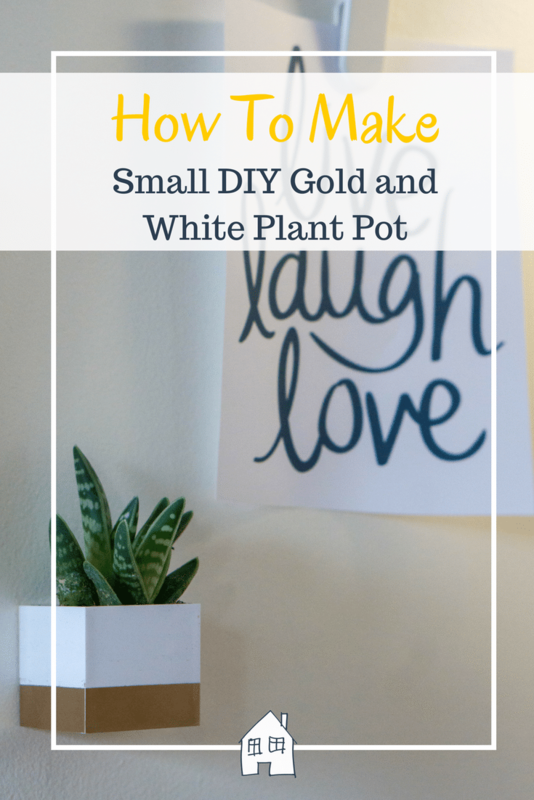 I hope you like my DIY gold and white plant pot, I would love to hear about what is your favourite plant in your home? 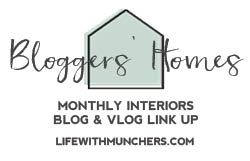 *I am taking part in the Wayfair Home Experts campaign. All options and words are honest and of my own. Ah thank you, it has changed the way I work so much as well. Much more productive than I was sat on the sofa on my laptop! These are such a good idea. I love how they look on your noticeboard and would never have thought to do that. Thank you! It’s my little space for just me!! Ah, this is amazing! I love little plants in my room, and they give off the best feel-good vibes! I’m obsessed with cactuses at the moment!!! Thanks! I think I might be getting the plant bug! 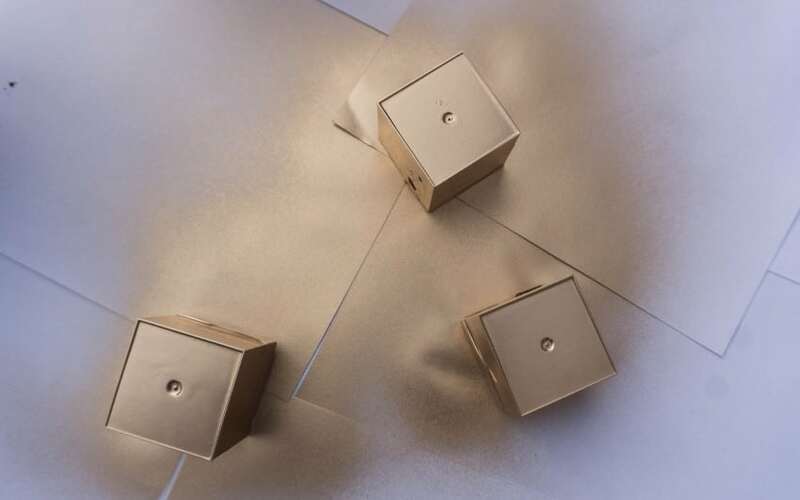 These little pots look fab on your noticeboard – the little pops of green really complement the white and gold! Thank you, I love gold! So pretty. I love the splash of gold on the bottom of the planters etc! really cute! Thank you very much, any excuse to have a bit of gold! Thank you very much, I am really pleased with them. Subtle and cute! What a clever idea! 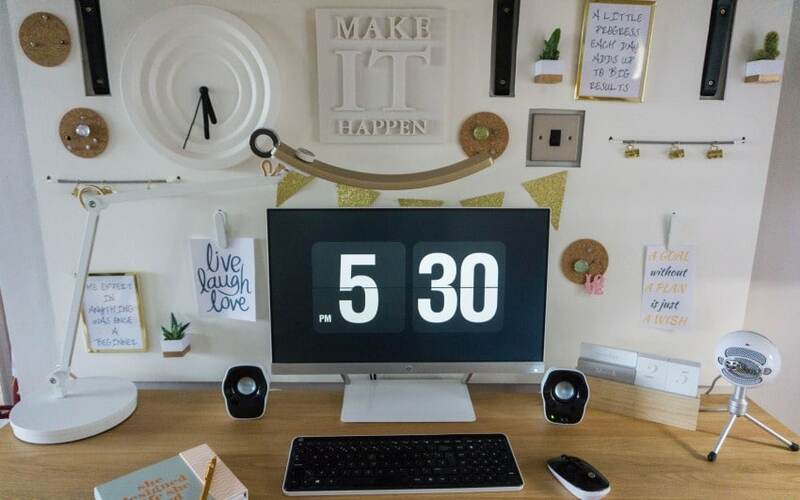 I LOVE your noticeboard and adding the little pots really finishes it off. I wonder if I could get away with some dinky pots with cactus in them on my desk at work. Oh I am keeping my fingers crossed for you!!! I am trying hard with my outdoors ones….keep your fingers crossed for these!! great post. Looks like we are all going plant crazy at the moment. Thanks. Yes I think we are! I’m starting small! They look amazing! I’ve always wanted to spray things and never had the courage – I’m going to give it a try this time! Thank you very much, glad you love the idea! Ah that’s lovely, I am hoping to bring some more into the house. Just got to keep them alive! Oh these are so sweet-great idea! Oh glad I have! Any excuse for a bit of gold for me!! Ah these are so cute. 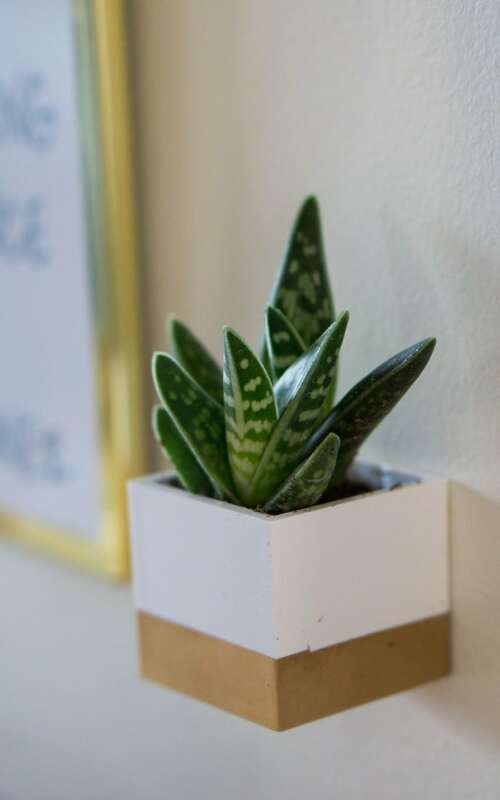 I’ve totally run out of shelf and surface space for more plants but I could definitely fit a few more on the walls if I had tiny little pots like these. They would be perfect for airplants too which are my new obsession. Oh I haven’t heard of airplants before….. I’m off to find out more!! Wow the plant pots are so lovely. You are very creative. Well done. These are super cute! Such a simple yet effective idea. I love that idea of sprucing up am area with those little pots. 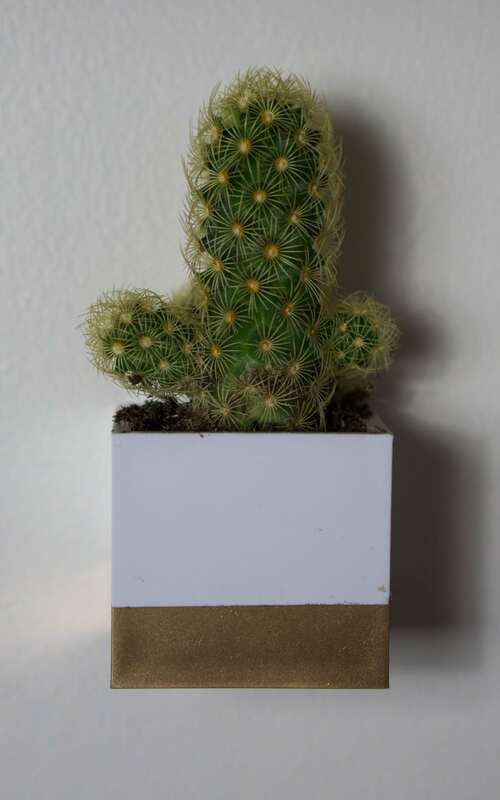 And I’d go for cacti myself. I’m dreadful at looking after plants but have been buying more since moving to Portugal. We’ll see if they survive the summer with me! Thank you, I am keeping my fingers crossed for you too then!! I love what you’ve done with the little plantpots, so simple yet striking. I would definitely be doing mine in pink and gold. It sounds super easy to do and I really like that the magnet is strong enough so you know it won’t fall. Oh that sounds cool, pink and gold! Thank you, I’m starting small and working up to some big houseplants! OH they are super cute! Your noticed board is amazing, so much to look at and so pretty too! Thank you, I love it too. It’s a little space for me! Mine only!! 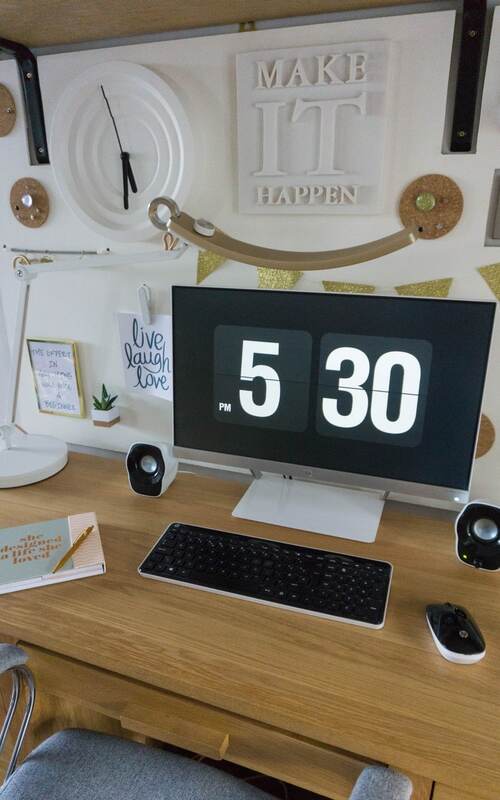 I am loving your notice board and what a fab addition these are and it looks like a really easy project which makes all the difference to the aesthetic of the board and room. Thank you, it’s nice to have a board thats all mine!! !